Australia’s Pageant Past Hits Broadway. 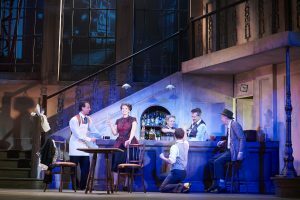 A politically tumultuous, pre-WWII Italy meets the swinging London district of Soho in a brand new production which opened at the Regal Theatre last night. Mimma: A Musical of War and Friendship is the product of a chance meeting between the two WA based creatives from librettist Giles Watson and composer and producer Ron Siemiginowski. The score includes both high energy, musical theatre numbers and operatic arias. It’s a curious combination that reflects the varied styles of Siemiginowski who had already written some of the music before he and Watson embarked on their creative venture. As such, the contrasting styles do feel a little incongruous, but the production solidifies in the second act which is more operatic in style. Mimma is about how war wreaks havoc on the lives of innocent people on both sides, but at the crux of it, the story is about two young women: passionate, Italian journalist Mimma (Mirusia Louwerse) and London nightclub singer Sarah Parker (Holly Meegan). Turin is becoming increasingly dangerous for Mimma and her family, who refuse to stay silent under the reign of Mussolini, so she seeks refuge with her uncle (stage veteran Igor Sas) in his Soho nightclub. There she meets the kind-hearted, tea drinking, singer Sarah and the pair quickly become friends. It’s their spirits and their careers that define the two female leads. Both women are strong, politically aware and unwavering in their values of freedom and fairness. Sarah is a dedicated singer who commands the stage while her ally Mimma is a journalist whose vocation remains at the core of her sense of self and ultimately creates a reason for her imprisonment. It’s refreshing to see a new work that champions women who have men in their lives but who are never defined in relation to them. The casting of these two characters, then, is vital to the success of the production and fortunately Louwerse and Meegan delivered as Mimma and Sarah respectively. Accomplished soprano Louwerse displayed her vocal dexterity brilliantly in the second act. But it was Meegan who left the audience gasping and sighing with delight with her heavenly vocals. Meegan’s vocal clarity astounded the audience and was a true highlight of the performance. 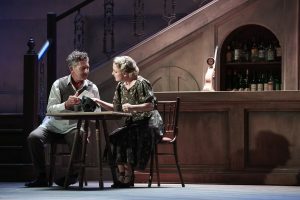 The talents of Jason Barry-Smith as Mimma’s brother Aldo, and Suzanne Kompass as her mother Ada were partially obscured behind the booming music and chorus in Act One but both shone performing the Italian language arias in Act Two. Uncle Lorenzo (Igor Sas) and Sarah (Holly Meegan). Photo Gary Marsh. The Perth Symphony Orchestra performed expertly under music director/conductor Sean O’Boyle, whilst director Adam Mitchell proved once again why he’s in high demand right now. After a dramatic couple of hours, Mimma concludes with some distinctly local flavour. The titular character and her surviving family move to Western Australia, docking at Fremantle and forging a new life on Australian soil. It’s a tidy package for local audiences to relate to, one which serves as an important reminder that those fleeing war-torn countries deserve to be welcomed and protected, and celebrates the ways in which immigrants enrich the cultural landscape. A fitting end to a cross-cultural epic. Except that it wasn’t the end. An already a lengthy performance was unnecessarily extended with a reunion scene between Mimma and Sarah, where events the audience had seen were recounted. It was a bit too neat and tidy and left the audience wanting less, not more. That said, the standing ovation said more than a bit of fidgeting did. The creatives behind Mimma have come together to build something new, unique and – with a little more time at the drawing board – world-class. Mimma continues at The Regal Theatre until 21 April. Pictured top: Mirusia Louwerse (Mimma) and Holly Meegan (Sarah) have got each other’s back in Mimma. Photo Gary Marsh. “What’s the point of getting married?” bachelor Bobby is asked by one of his many married female friends. “Er, for company?” queries Bobby, uncertain of why one would commit to a lifetime with the same person, underlining at the same time the emptiness and loneliness of his own unmarried existence. First performed in the early 1970s, Sondheim’s musical Company is now a timeless reminder that for many young people, getting married – and staying married – is a vexatious state of mind, and that the resolution of marital problems is never going to be easy. The famous music theatre composer’s slate for the sketches that form Company is his home city of New York, a place where, it appears, hundreds of thousands of marriages go to die. Despite the slick New York night-clubs and bars, chic apartments and even the railway station that comprise its backdrop, Sondheim’s take on young relationships is bleak and bitter-sweet. The play is a series of vignettes about young people who get married, the focal point of which is the one who does not get married. Bobby is a bachelor celebrating his 35 years in the single state with five couples who have opted for marriage as a resolution to the problem of curing loneliness. Love doesn’t seem to come into it, although they protest that it does. Well, these are cynical New Yorkers, you know, and this is a Sondheim scenario where too much sentiment is not good for you. This WAAPA production is played in the round, an appropriate metaphor for these young couples as they circle around Bobby, trying to get him to get him to commit to marriage so he can be as unhappy as they appear to be. Bobby has three girl friends over the course of the evening, but he is not really a seducer in the Don Juan league. Rather he is a confused young man who has not really found love and he backs out of relationships before they can get too serious. We get to know more about Bobby through his interactions with his married friends, at the same time catching glimpses of his friends’ fears and foibles in regard to that particular state of legally-sanctioned relationship. Conor Neylon captures Bobby’s personality and doubt with a convincing sense of confusion, and his delivery of the often-difficult Sondheim songs grows in confidence as the show moves through its many short, snappy confrontations. This is a musical of set-pieces, with each couple showing what their lives have become in song, dialogue with Bobby, and the occasional spot of group choreography. There is a stand-out performance from Annabelle Rosewarne as Amy, the girl who, on her wedding day, suddenly decides she does not want to marry Paul. She expresses her fears in a patter-song worthy of Gilbert and Sullivan but far more hip. Company is famous for its song “Ladies Who Lunch”, delivered with convincing mockery and cynicism by Victoria Graves, as Joanne, whose marriage a second time is not going well. Company is quite brutal in its dissection of modern marriage, but strangely fascinating and hugely entertaining in the hands of these young WAAPA performers. But that’s the point of Sondheim, isn’t it? It’s why we love his work. Company runs until March 23. Pictured top: Conor Neylon, as Bobby, with the male ensemble. Photo: Jon Green. A West Australian original production, featuring Mirusia Louwerse as Mimma, Holly Meegan as Sarah and a wonderful interstate and local cast and crew. Directed by Adam Mitchell and featuring the Perth Symphony Orchestra under musical direction of Sean O’Boyle. Blending jazz, opera and musical theatre, ‘Mimma’ is a musical that bridges continents and cultures. On the surface there’s a lot to like about Madiba: The Musical. Originally written and composed in French by Jean-Pierre Hadida with co-author Alicia Sebrien, the work has been adapted into English by Dylan Hadida and Dennis Watkins in this new, Australian production. Directed by Pierre-Yves Duchesne, it’s a fast-paced, frenetic story about one of the world’s most celebrated revolutionaries, Nelson Mandela. Aside from some wavering South African accents, the cast delivered a flawless performance on opening night, packed with booming vocals from Ruva Ngwenya, Tarisai Vushe, Tim Omaji, Barry Conrad, Madeline Perrone and Blake Erickson. The indefatigable ensemble, led by Tiana Canterbury, kept the energy high as they performed Johan Nus’s dynamic steps, in striking costumes (designed by Sabrina Gomis Vallée) which evoked the colours and streets of South Africa over four decades. Dancer, rapper and singer David Denis was a crowd favourite as the narrator, weaving together the story which spans 42 of Mandela’s 95 years, whilst Perci Moeketsi offered depth and dignity in the title role. Yet despite the star power spilling from the stage, Madiba: The Musical doesn’t do the Mandela story justice. Mandela seems more of a background character than the main event. The show skips lightly over much of his life, choosing instead to focus in depth on fictional characters. His activist wife, Winnie, is also given a smaller part than befits her life’s achievements. While Ruva Ngwenya performed the role of Winnie with grace, I was still left feeling that a strong voice had been silenced. It is disappointing that, with the wealth of material available in the true stories of Nelson and Winnie Mandela, so much time is spent on fabricated scenarios. In particular, too much stage time is given to an interracial love story between idealistic Helena and aspiring artist and activist Will, as well as to Helena’s father Peter Van Leden, a racist white police officer who later struggles to come to terms with guilt about his actions. The message here is unequivocal: oppression doesn’t just hurt the oppressed, but the oppressors too, and the scars left on a nation’s psyche as a result of brutal injustices run deep on both sides. It’s a valuable lesson but it doesn’t need to be taught through a white lens. Even the police shooting of a black individual becomes more about the effect it had on the white policeman than the man whose life was stolen, or his family left behind. Does the story benefit from these white voices? Not for me. While Madiba: The Musical may not hit the mark as a tribute to Mandela, it does, nonetheless, make for an entertaining and thought-provoking couple of hours. This is an uplifting tale of good triumphing over evil and a celebration of resistance, culture and, of course, freedom. 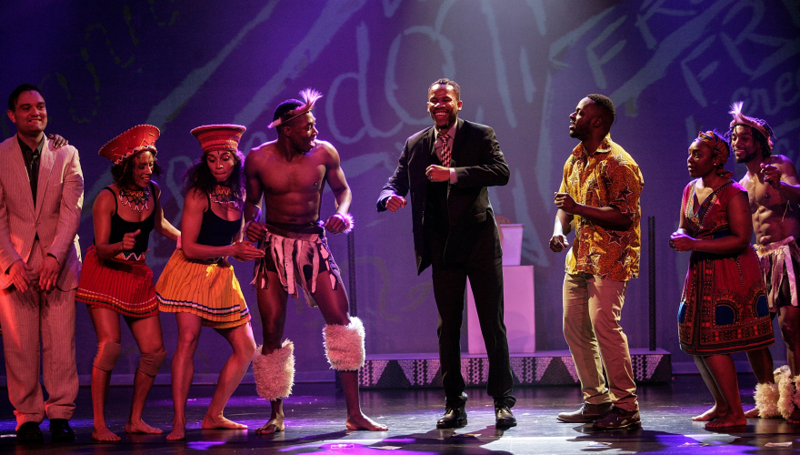 Madiba: The Musical plays Crown until January 12. 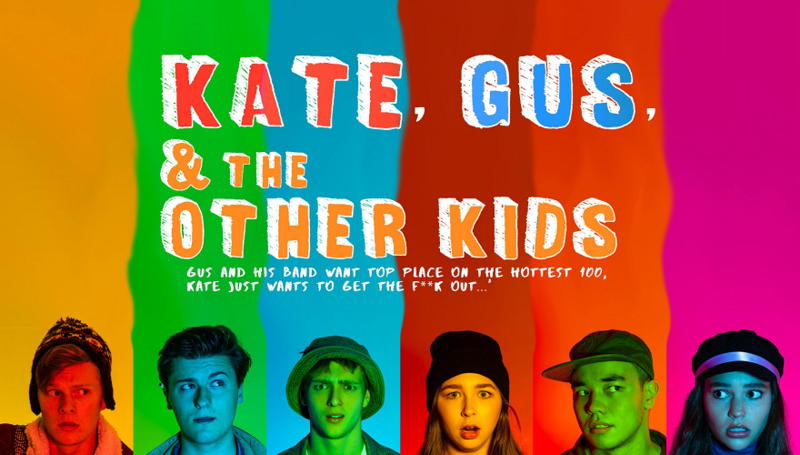 The brainchild of Neylon & Peele; ‘Kate, Gus & The Other Kids,’ is a never before seen Australian musical comedy with a rock/rap/ alternative/indie/pop score that dares to be anything but conventional. Imagine if Once (The Musical), John Butler and Scott Pilgrim had a baby. This is that baby. Energetic and compelling new stage show Madiba the Musical – a Celebration of the Life of Nelson Mandela opens in Melbourne on October 4 and will tour to Sydney, Canberra Perth and Adelaide. Madiba the Musical, which celebrates the life of the former South African leader, who would have turned 100 in July this year, is interwoven with stories of the fight against apartheid and forbidden love in a troubled land. Limelight Theatre’s last season of the year. Devised and directed by Gillian Binks, The Envelope Please pays homage to the best original song category first introduced to the Oscars in 1934. While the movies weren’t always winners, songs that came from them proved to be and many have gone on to become classics. The Envelope Please presents some of the best from the past 84 years through song and dance, including Over the Rainbow, White Christmas, The Way We Were, Fame,Arthur’s Theme, Up Where We Belong, What A Feeling, (I’ve Had) The Time of My Life, Beauty and the Beast, My Heart Will Go On and Let It Go, among others. Repertory Club over the years. She directed The Best Little Whorehouse in Texas in 1998 and choreographed Cabaret in 2000, both winners of best musical at the annual Finley Awards. “The Envelope Please is the result of me wanting to do something fun and colourful in honour of my dear friend Terry McAuley, a Playlovers stalwart whom we lost this year,” Binks said. The Envelope Please plays at 8pm on 22, 23, 24, 29 , 30 November and on 1, 6 , 7 , 8 December and at 2pm on 25 November. www.limelighttheatre.com.au or on 0499 954 016 between 9am and midday, Monday to Friday.